Liverpool will once again take part in the International Champions Cup as part of their pre-season preparations for the 2018/19 season. Jurgen Klopp and his squad will face other elite European teams in the high-profile tournament, as the Reds bid to build on what should turn out to be an impressive campaign this time around. 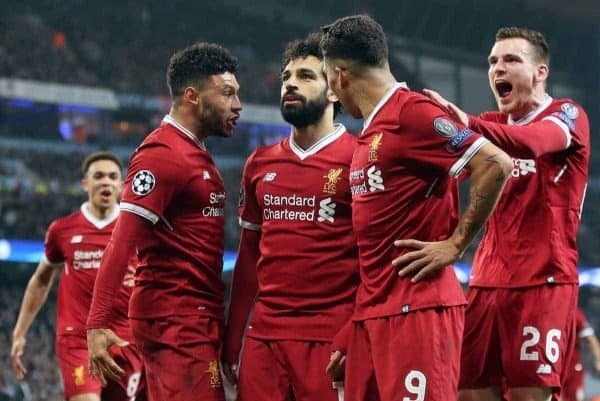 The likes of Real Madrid, Barcelona, Bayern Munich and PSG will also take part in the ICC, and Liverpool will confirm their opponents and match dates next week in Miami. We understand at this point that the Reds will face both Manchester clubs, City and United, as well as Klopp’s former club Borussia Dortmund in their three fixtures. The proposed locations for Liverpool’s games are Nashville, New Jersey and Michigan. Jurgen Klopp‘s squad are expected to be in America in late July, before returning to Europe where they’re lining up friendlies both at Anfield and away to European opposition. There will also be domestic friendlies earlier on in the summer preparations before the ICC, against the likes of Tranmere Rovers.